Once the examination session is over it is optional to enter candidate results into the system. Any results entered will be viewable in the Candidate's examination history. The Results screen is reached by clicking the "Enter Results" button from the Main Exam Details Screen. 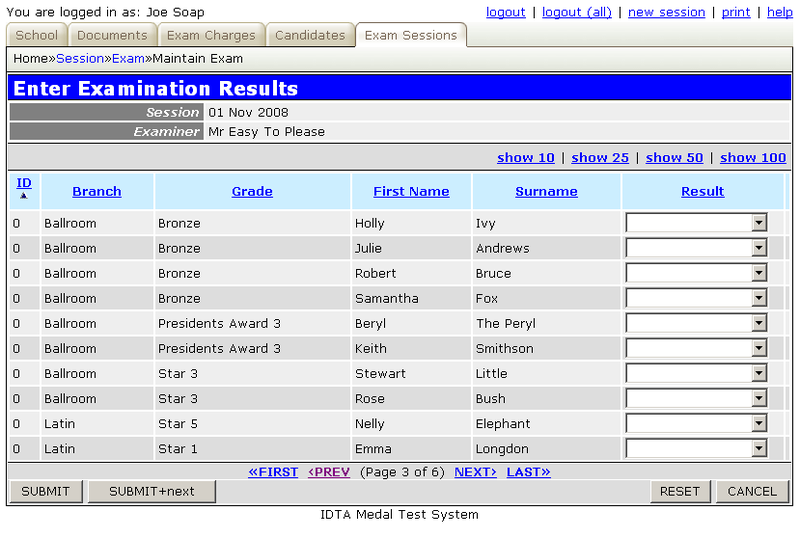 Simply use the dropdown on each candidate exam line to select the result from the standard list of IDTA results. The order in which the candidate exams is shown on the screen can be changed to match the list from which you are entering the results. For example, to see the results in candidate surname order, simply click on the Surname column heading.